Variable speed pumps may not be connected. For a 1-phase and 3-phase power supply. Compact inexpensive filter control panel in a grey plastic housing. 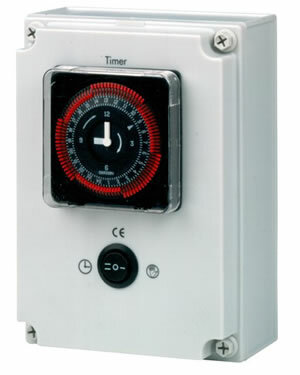 With analog switch timer and electronic motor protection. Allows various coonections.